The background to the usage of the term T1 comes from something known as Digital Signal 1. DS 1 is a telecom standard and even though it is a logical factor that is deployed over a physical T1 line, the terms are often used as substitutes. In terms of numbers such a T1 line is said to carry data at a rate of 1.544 megabits per second. Such a line is also capable of carrying 24 digitized voice channels. This capacity is better understood when one looks at an ordinary telephone or residential modem and compare it to the capacity of a T1 line. The latter is capable of carrying around 60 times the data that the former can. Price is a big consideration when one wishes to opt for a T1 line. There is no doubt that a T1 line will cost more than an ordinary telephone or data connection. To get a better idea of T1 price quote you can log onto the websites of different service providers and request for a quotation. Most service providers will offer services or bundled services such as data plans, Ethernet over copper broadband, integrated T1 services and bonded T1 services. Bonded T1 services denote a combination of data and voice services. How to get a price quote : It is also interesting to note that there are plenty of service providers who can get you T1 price quotes from various bandwidth providers. So all you really have to do is compare each one and look at the kind of products and services that have gone into the making of the price and choose the best one possible. More often than not it is corporate offices that look for T1 services. Such corporate offices need high-speed and reliable internet access and also will be looking for services such as: Ethernet fiber, Metro area fiber and other dedicated services. A small-business owner who is looking for T1 services can also ask for a price quote if he thinks that he needs this kind of communication power. A lot of leading service providers and carriers will also tie up with companies or firms that deliver T1 price quotes. For instance you may be able to get a quote from a company which is in touch with all the major carriers of services such as bonded T1, incorporated PRI carriers and also have both CLEC and ILEC. CLEC stands for competitive exchange providers and ILEC stands for incumbent exchange carriers. Most companies will be able to give you a no obligation price quote when you enter details such as physical location into their online forms. Given the extremely competitive nature of this market space companies also give you the option of telling them whether you are simply comparing prices or you would like a professional from the industry to get in touch with you and take the discussions further. 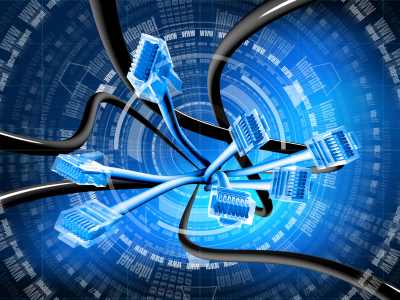 Investing in a T1 connection may have some higher initial costs but in the long run it can help save a lot of money for the company because of the speed of data transfer and accessibility. 3D Printing: A Step Closer to a Star Trek Replicator?